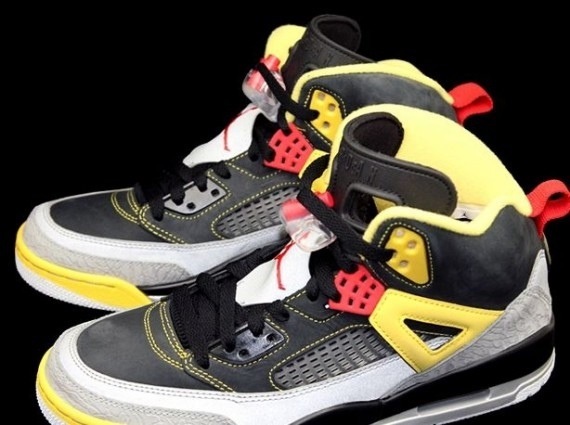 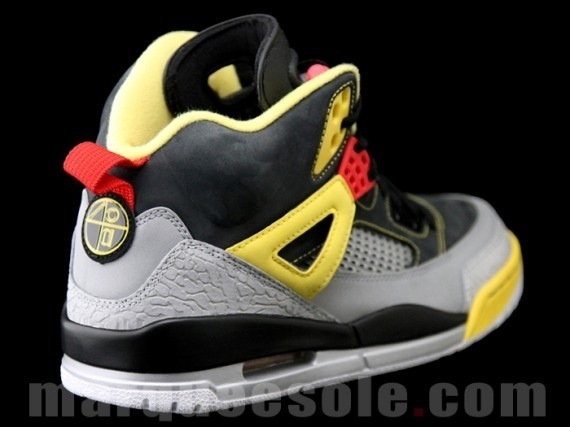 Jordan Brand sets forth an upcoming Spizike with a 3M twist. 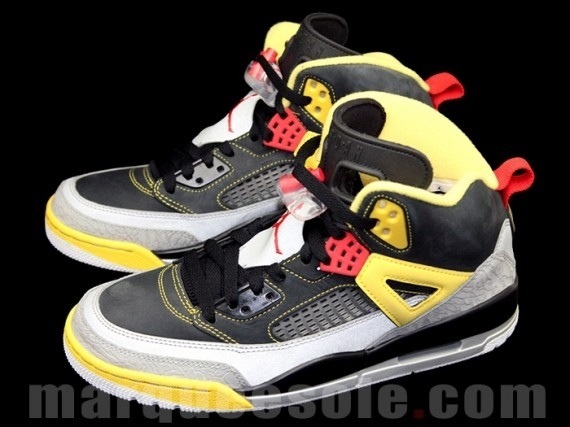 The colorway, sporting black, red and yellow, features 3M paneling on the uppers and heel. 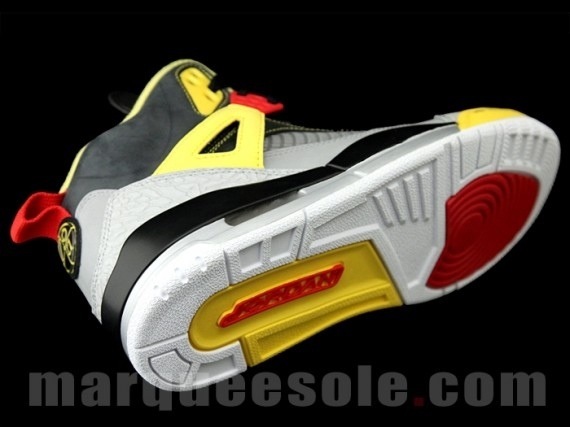 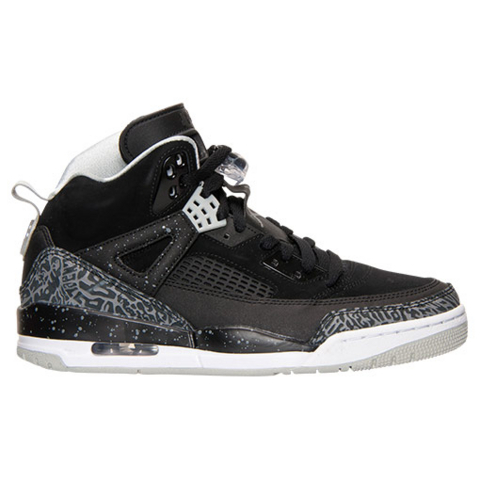 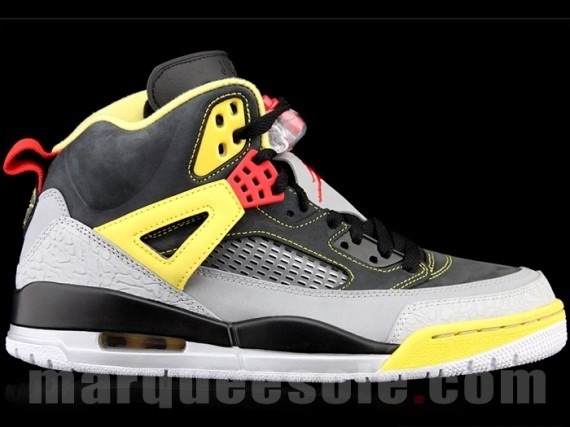 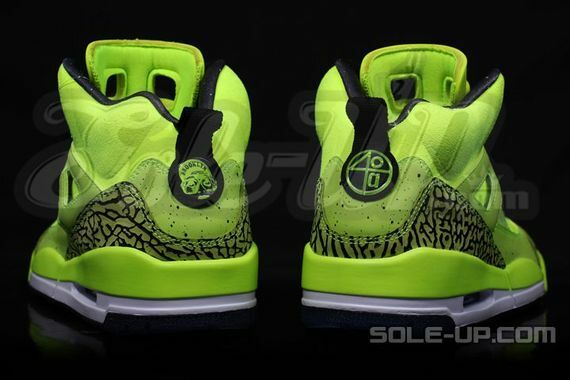 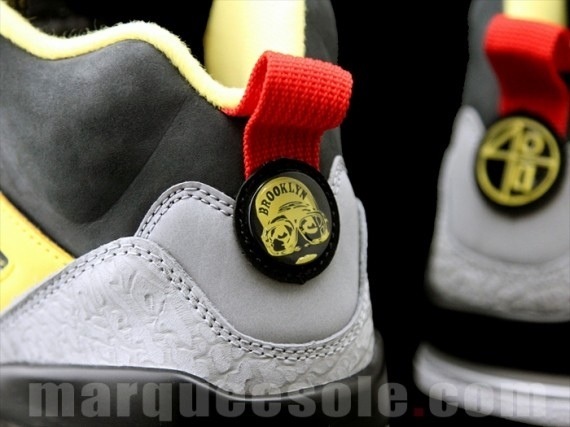 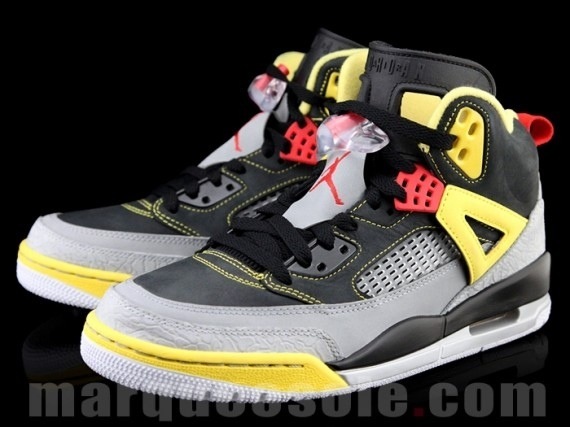 Since the first Spizike, we’ve yet to see a colorway decked out in 3M so let us know what you think about this upcoming colorway.